Seniors are at higher risk for pedestrian accidents than younger people. A recent study entitled, “Older Pedestrians At Risk” found that as older people suffer from a variety of age-related conditions, they are at higher risk for being struck by an oncoming vehicle. Depth perception, a slower gait, misjudging the time they have to cross the road, all play a part in the higher safety risk to a senior pedestrian, and as many seniors are forced to give up their driving privileges at one point, they often take up walking more to run their errands. The study showed the pedestrians over age 60 have a 2.5 times higher chance of being struck or hit by a vehicle. For a senior over 75 years of age, they are eight times more likely to be struck. Between 2008 and 2010, more than 400 pedestrian fatalities involved a senior pedestrian. 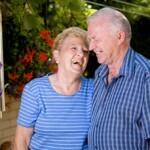 It is important to discuss these issues with the seniors in our lives. It could end up saving the life of a loved one.